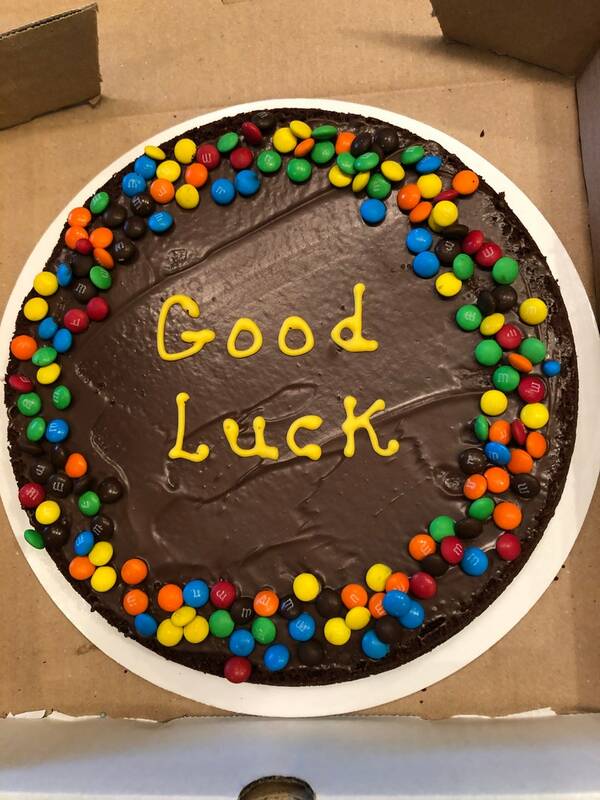 Gourmet brownie pizza makes the perfect gift to say good luck on finals. Some call it brownie pizza and some brownie pie we simply call it divine. Brownie is 9 inches round. It is a thick fudge brownie topped with m&m, milk chocolate and can be personalized with your message. It will make 8/10 generous pieces. It’s wrapped in cello presented on a cake board in a pizza box. It’s perfect to get them though the long hours of studying. Thank you for shopping at Nana’s we love baking and serving you.